Having a solid picture of individual children's progress makes it easier to focus your observations and to consider the whole child. 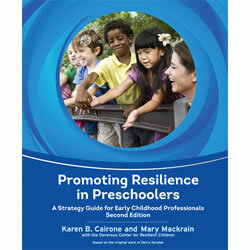 Kaplan offers a variety of evaluation and assessment materials to help early childhood educators, mental health professionals, and families gather the data needed to plan learning experiences, evaluate program goals, and promote young children's social and emotional development. This revised version offers practical assistance in the form of Notes for Clarification and an Expanded Score Sheet to simplify scoring. The items and indicators are the same as in the original version. 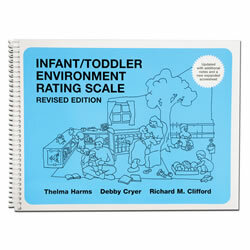 Assess the quality of infant and toddler classrooms and enhance program development with charts detailing levels of quality from inadequate to excellent. Explanatory notes appear on facing pages. Scoring sheets and ITERS-R™ Profile included. Birth - 36 months. A criterion-referenced instrument measuring development in 6 domains. E-LAP™ is appropriate for all children, including those with disabilities. 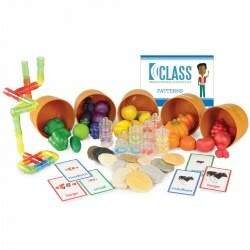 The instrument is excellent for Early Head Start Programs and effective for communicating and collaborating with parents about their children's progress. 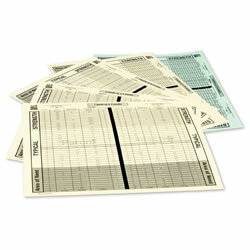 Includes scoring sheets appropriate for summarizing results 3 times each year. 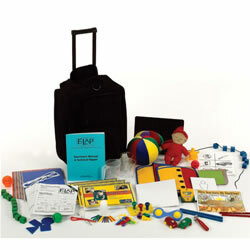 Kit includes materials necessary for assessing 20 children. 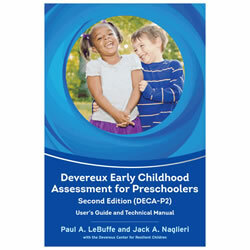 Additional manuals and scoring books available. 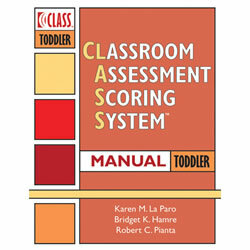 The Learning Accomplishment Profile Third Edition (LAP™-3) provides a systematic method for observing the skill development of any child functioning in the 36 to 72 month age range, including children with disabilities. 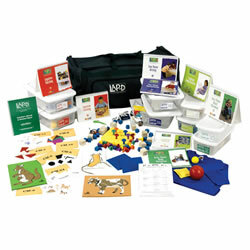 The LAP™-3 Kit contains most materials necessary for assessing 20 children. 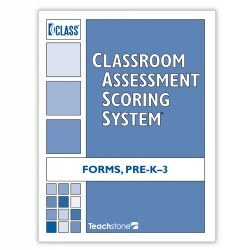 Includes scoring sheets for summarizing results 3 times in one year. The Learning Accomplishment Profile -- Diagnostic (LAP™-D), Third Edition, Dual Language (English-Spanish) provides a systematic method for observing children functioning in the 30 to 72 month age range. 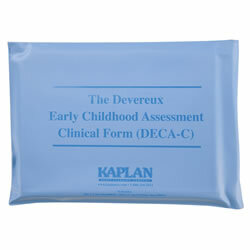 This assessment is designed for children with typical and atypical development. 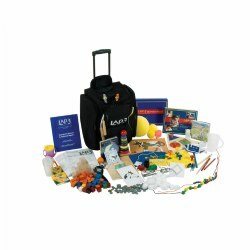 The LAP™-D Kit contains a standardized set of the materials necessary to administer each item (except stairs and chairs). User's Guide for the DECA-IT kit. 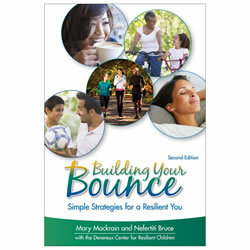 This guide provides research-based, simple, easy to use social and emotional strategies for the home and child care setting. 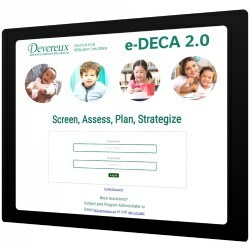 Included are reproducible forms and checklists to help programs reflect on overall social and emotional quality of early care and education settings. For use with DECA-IT kit. 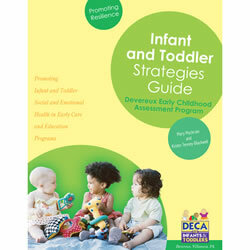 Includes 4 infant and 1 toddler parent/teacher profile masters. 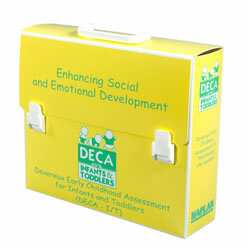 DECA-C is designed to support early intervention efforts to reduce or eliminate significant emotional and behavioral concerns in preschool children. 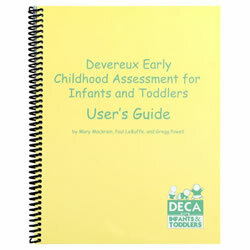 The DECA-C can be used to: (1) Guide interventions, (2) Identify children needing special services, (3) Assess outcomes and (4) Help programs meet Head Start, IDEA, and similar requirements. 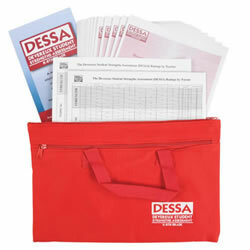 Kit includes: 1 Manual, 30 Record Forms, and 1 Norms Reference Card. The highly anticipated toddler version of the CLASS® tool is here -- providing early childhood programs with an accurate, reliable way to assess effective classrooms. 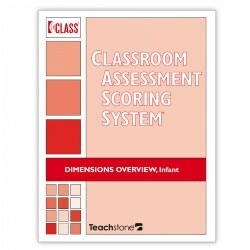 For use with children from 15 - 36 months, this standardized observation tool measures the effectiveness of interactions between teachers and children, a primary ingredient of early educational experiences that prepare children for future school success. Spiral-bound, 80 pages. 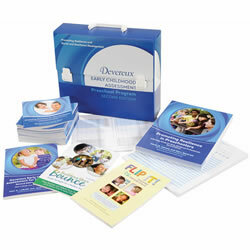 This tri-fold laminated sheet is a handy reference for users of the CLASS® Infant observation tool. 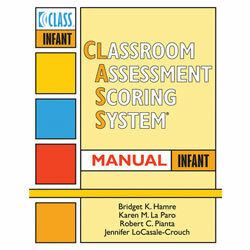 Available in convenient packages of 5, this sturdy quick-sheet shows evaluators what to look for while observing each of the CLASS® Infant dimensions and scoring the tool. Set of 5.